﻿Some of my pages and posts throughout this site contain “ affiliate links.” This means if you click on the link and purchase the item, I will receive an affiliate commission. Regardless, I only recommend products or services I use personally and believe will add value to my readers. I am disclosing this in accordance with the FTC 16 CFR, Part 255. Here are some of the companies I'm working with through affiliate partnerships. My new favorite place to shop online! 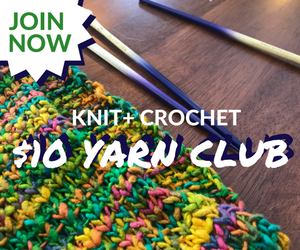 I have joined the yarn club and am LOVING the recycled yarns. They are so soft and luxurious! The knitting needles and crochet hooks are a dream to work with. 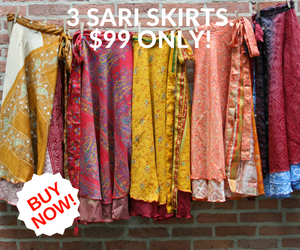 Our girls and I have also fallen in love with the recycled Sari skirts. They are lovely and durable, which makes them awesome for both everyday wear and special occasions. They are so easy to dress up or down for whatever we are doing. I've been looking for some time for affordable made in the USA, organic clothing for our family. When I realized Wild Dill also has Hebrew products, well I knew I found a gem. So Well has been designing and importing handmade, fair trade, authentic and rare Himalayan salt lamps and other fair trade and handmade Himalayan salt products since 2004. Salt lamps are known to help purify the air and neutralize potentially harmful frequencies due to electronics plugged in throughout the home. Our family has used Himalayan salt around our home for a number of years now and I'm thrilled to be able to share this Fair Trade option. Starwest Botanicals is an online supply source for natural living. Dried herbs, organic herbs, bulk herbs & spices, loose leaf organic teas, organic essential oils and aromatherapy supplies are part of the nearly 3000 natural products to choose from. I keep bulk herbs in jars on my pantry door for making teas, tinctures, and poultices. I love having natural supplies on hand for our farm and family! Several of these programs are through ShareASale. It's a wonderful platform that helps companies like these partner with bloggers like me. It makes placing banners and sharing sales and promotions so much easier. If you have a website and would like to pick and choose special companies to work with, definitely check them out. This is a Weebly website. I love their platform. It is so easy to use! I've helped several authors start their own websites and always suggest Weebly for ease.